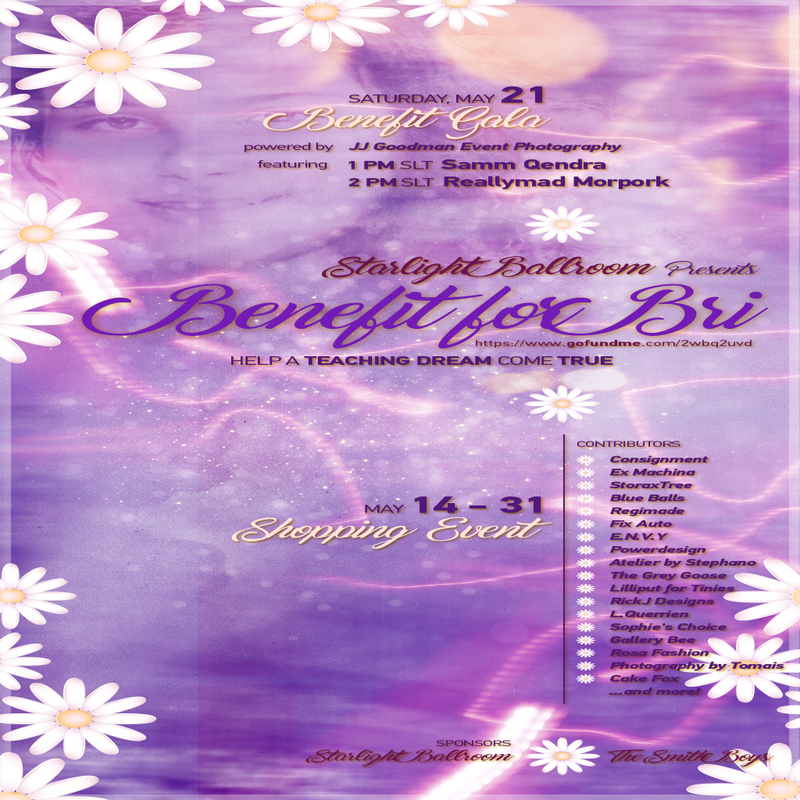 The Benefit for Bri at Starlight Ballroom's new location has started in the form of a shopping event and will last until May 31st. There will also be a benefit gala on May 21st at 1pm. Make sure to pop by for some great fashion and decor. And amazing live music during the gala! I made a little something for the event, too. 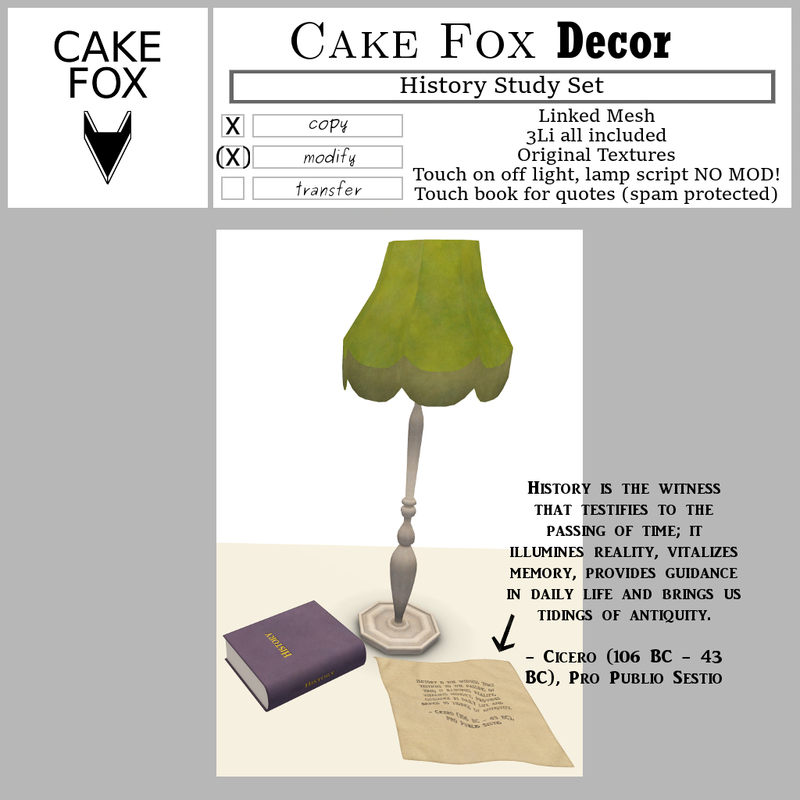 The history study set is a new release for this cause and a 100% donation item. 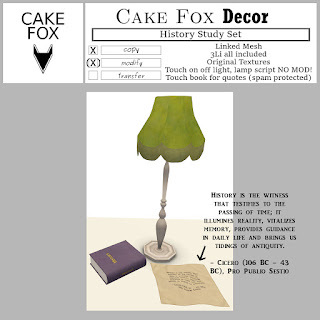 You get history quotes when you touch the book, and the lamp works on touch on/off. The whole set is just 3Li, linked mesh. The lamp script is no mod but otherwise the set is modifiable. Just take safe copies, first.